The text sources are the leaks about the events that triggered the Spanish crisis. The authors of the play are the whistleblowers that have leaked them. The bank Caja Madrid (now called Bankia) was single-handedly responsible for one seventh of the hundreds of thousands of millions of euros that went missing, the gaping hole in the Spanish economy, the so-called “crisis”. The plot we (Xnet and 15MpaRato, now authors of this play) revealed by leaking the “Correos de Blesa” (the bank director’s Emails), is the story of how this “crisis” was created. We, the people who laid bare the Bankia case, and revealed the Blesa Emails and the Black Cards scandals, are now telling the public what really happened. We use the actual words written by those responsible, the culpable bankers and politicians. We show, from within, from the very engine room of the “crisis”, how it was machinated and, moreover, how, against all odds, we are changing the ending they had planned. This story is to be relished as a slap in the face to the pitiless, routine silence of impunity. The play has arisen from necessity. The need to know the truth about our history at the time it is happening. The plot we (Xnet and 15MpaRato) revealed with the “Correos de Blesa” (Blesa’s Emails), some 8,000 leaked emails, which brought to light the “Black Card” scandal (read: tax-free, corporate credit card for Caja Madrid-Bankia cronies), is the story of how the so-called crisis was brought about. In those years, the bank Caja Madrid (now called Bankia), then headed by Miguel Blesa, was single-handedly responsible for a seventh of the missing hundreds of thousands of millions constituting the gaping hole in the economy which we have all been paying for with cuts and more cuts, destroyed lives, despair and suffering. This is suffering in vain because it has only gone to pay for their excesses. The scandalously rich and their henchmen in government and in the political parties have got richer and richer. There is no point in knowing the truth when we can no longer do anything about it. That is why this work is also a matter of urgency. 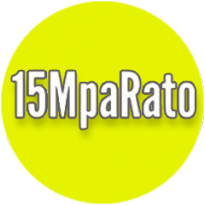 We need more and more people to see with their own eyes what the ongoing trial against Rato and other bankers (the result of a citizens’ lawsuit, “15MpaRato”, against corruption) is all about. This trial is not only about State corruption and fraud. It also lays wide open the system of connivance, abuse and impunity on which our “democracy” rests:: the government, political-party, big-union and management leaders, all of them have assiduously colluded to strip us of our savings, our possibilities for the future and our dignity. It is also the story of how, one day, fear changes sides, how citizens have revealed the truth and how we are all pulling together to hange the ending these malfeasants had planned. We said we would rescue ourselves with their money and we’re doing just that. We’ve managed to ensure that they have to return everything they have stolen with their sale of “preference shares” in their famous “Become a Banker” scam. The inside story known to us, the people who have brought it to light and who have taken it to the courts, is being silenced. The key elements have not reached public opinion and those that have are distorted by the filters of a system which aims to perpetuate itself. The looting was done in the jocular camaraderie of the omertá and untroubled silence. The media’s silence on the complicity of the system could mean that illustrious co-conspirators, who are still in government, parties and institutions, will get away with it. Knowing this churns our stomachs. We find it intolerable that our great civil victory remains unknown or, if it is known, it is presented full of lies. We need to tell the story as it really is so we can all come together to ensure our victory. We know that a lot of people would like to stop this show from happening, would like to prevent any talk of current events while they are actually happening. In order to save their own skins they don’t want this news to be made public until it is consigned to the dusty shelves of archaeology. This is why we need a lot of people to help us get this play staged. The play has one aim: to defend, loudly and clearly, our right to information, and to work together to constitute a forum of free public opinion, a well-informed, active civil society which forges its own history. This play challenges the pitiless, routine silence of impunity. It is part of the struggle and an act of justice. We have spent a year working to find, verify and put into order all the bits which make this play an irrefutable account of what our most recent history has really been. Without your support it won’t see the light. Please contribute and tell people about it. Simona Levi, director of the play. 15MpaRato | , the lawsuit filed by organised citizens, brought the Bankia case holding bankers responsible for the economic crisis before the National High Court, revealed the stock exchange scam, the high risk Preference shares (fraudulently claimed to be fixed income securities when they were not) and the #TarjetasBlack (Black Cards) which were given to almost all the Caja Madrid (later Bankia) managers who made personal charges worth hundreds of thousands of euros against Bankia savings accounts, thereby evading some €15.5 million in taxes, and named the gang who made this possible. Xnet |  is an activist group working for democracy in the digital age and managing the Xnetleaks where citizens can send leaks and information against corruption in a way that protects their safety. Partido X | , working with Xnet, helped to make the information about the “Blesa Emails” and the Black Cards available to the public. “Become a Banker”: Everything you always wanted to know about the Black Cards and never dared to ask. 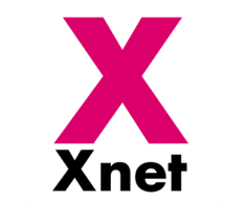 Xnet is a group of activists who have been working since 2008 in different areas related with online democracy (mechanisms of participation and citizen control of power and institutions), upholding a free, neutral Internet, free circulation of culture, knowledge and information, defence of citizen journalism for the right to know, informing and being informed, the legal, technical and informative struggle against corruption, and technopolitics understood as praxis and networking action for empowerment, justice and social transformation. The project first appeared in Barcelona in 2008. Then called EXGAE, it was concerned with free culture and defence of citizens against the abuses of copyright monopolies. This work continues today, with the group’s active involvement in analysing and combatting the secret negotiations of free trade deals, defending use of the Internet as a tool for improving democratic quality, and opposing the undermining of civil rights by authorities and governments, foes of the Internet in a world now being shaped after Snowden’s revelations. This lawsuit filed by organised citizens brought the Bankia case (holding bankers responsible for the economic crisis) before the National High Court and revealed the stock exchange scam, the high risk Preference shares (fraudulently claimed to be fixed income securities when they were not) and the #TarjetasBlack (Black Cards) scandal. This mechanism was organised and launched by Xnet in order to put an end to impunity and name the people who were responsible for the crisis. It first appeared on 16 May 2012 during the demonstrations on the first anniversary of the 15M movement, thus setting in motion a citizen campaign to file a lawsuit against Rodrigo Rato (First Deputy Prime Minister, Minister for the Economy from 1996 to 2004 during the Aznar government, Managing Director of the International Monetary Fund until he resigned in 2007, and Director of Caja Madrid/Bankia from 2010 to 2012) and his accomplices in Bankia (which received the biggest bailout ever for a Spanish financial institution). A theatre director, actress and dancer by training, Simona Levi studied Performing Arts in Paris at the Jacques Lecoq school and worked as a programmer in the occupied arts space L’oiel du Ciclón. She toured as an actress with several companies before settling in Barcelona in 1990. In 1994 she set up Conservas—a venue promoting independent, innovative, local and self-produced performing arts—in the city’s Raval neighbourhood. In 1999, Simona Levi founded Compañia Conservas. The same year it presented its first production, Femina Ex Machina, which she directed. This play received the Special Critics’ Prize and the FAD Applause Award. In 2003 she directed the company’s second work, Seven Dust, which premiered in Barcelona’s Mercat de les Flors theatre. These shows toured for two and three years respectively in countries including Italy, France, Belgium, Switzerland, Finland, Slovenia and Poland. In 2007 she co-directed Compañia Conservas’ third show, Realidades Avanzadas (Advanced Realities), which was on tour until 2009. From 2001 to 2011 she was director of the Performing and Applied Arts Festival “Innmotion” which was held at the Centre of Contemporary Culture of Barcelona. As a founder-member of Xnet, Simona Levi has, since 2008, managed the stage production of the Oxcars, an awards ceremony highlighting projects from different artistic disciplines working in the domain of free culture. She is also a coordinator of the Free Culture Forum, an international arena bringing together organisations and experts in free culture and knowledge. A well-known activist in European social movements working for free circulation of knowledge, culture and information, defence of the Internet and in struggles against corruption, Simona Levi has also been tirelessly involved in movements for the right to housing and public space. In recent years she has focused her efforts on free culture, digital democracy and strategic use of digital tools for democratic organisation, communication, collective action and renovation. She organises platforms (including the 15MpaRato platform) for revealing corruption and demanding that those responsible for economic injustice in Spain and in Europe should be held politically accountable. Co-author of the book Tecnopolítica, internet y r-evoluciones – Sobre la centralidad de redes digitales en el #15M (Technopolitics, Internet and R-evolutions: On the Centrality of Digital Networks in the #15M Movement), she also coordinated the edition of Cultura Digital – Nociones básicas para defender lo que es de todxs (Digital Culture: Basic Nations for Defending What Belongs to Everyone), both of which were published in 2012 by the publishing house Icaria. He studied Political Science at the University of Santiago de Compostela and Human Ecology at the Universidade Aberta (Open University) of Lisbon. A specialist in online political communication, he is involved in projects of activism for democracy and he is consultant to several organisations. A graduate in Theatre and Performance Studies from the Barcelona Theatre Institute, and trained in play-writing at the Sala Beckett Workshop by Martin Crimp, he has worked as an actor with Àlex Rigola, Lurdes Barba, Josep Maria Mestres, David Selvas, Joan Lluís Bozzo, Javier Daulte and Manel Dueso, among others. He has appeared regularly in television series including Sitges, Secretos de família, Luna de miel, La Riera, El cor de la ciudat, Él y ella, Cuéntame como pasó and Amar es para siempre. He has twice been nominated for television academy awards. In the Barcelona Theatre Institute he studied the Uta Hagen Method with Carol Rosenfeld, theatre and performance with John Strasberg and also with Bob McAndrew, the German classics with Konrad Zschiedrich, as well as attending Penny Chen’s Shakespeare seminar. Notable among his performances are those in El hombre almohada (The Pillowman, 2009),Qué pasó cuando Nora dejó a su hombre? (What Happened after Nora Left Her Husband, 2008), diktat (2004), Por menjarse ànima (Eat Your Heart Out Fear, 2000) and Macbeth (1996). In films, his outstanding performances include those inSing for Darfur by Johan Kramer, La educación de las hadas (The Education of Fairies), directed by José Luis Cuerda, El Perfume (Perfume) directed by Tom Tykwer, Pleure pas Germaine (Don’t Cry, Germaine) directed by Alain de Halleux and La ciudad de los prodigios (The City of Marvels) directed by Mario Camus. He has had several roles in television series, including Porca Miseria, Ángeles y Santos, Rapados, Crímenes and Sitges. He trained as an actor in the Barcelona Theatre Institute, specialising in theatre and performance studies, and texts. His recent performances include those in the plays 99%, which he co-authored with Ian De Toffoli (2015), El setè cel/Cloud Nine, by Cary Churchill (2014), Si no ens paguen, no paguem!/Sotto paga non si paga (Can’t Pay? Won’t Pay!) by Dario Fo (2013) and Corrüptia, by Josep Lluís Fitó (2009-10), all of them Teatre de l’Enjòlit productions. He also appeared in No pot l’oblit regnar sobre aquests mots (Oblivion Cannot Reign over These Words), a work based on Shakespeare’s sonnets (2014), Nit de Reis/Noche de Reyes (Twelfth Night), with the Parking Shakespeare company (2013), Tornem després de la publicitat (We’ll Be Back after the Ads, 2012), Primaris (Primaries, 2010), Stereo (2009), Seguretat (Security, 2008) and Tres Vint-i-set (Three Hundred and Twenty-Seven, 2007) by Carles Mallol with the La Soga company, Un altre Wittgenstein, sisplau (Another Wittgenstein, Please) by Albert Mestres (2009), El casament d’en Terregada (Terregada’s Wedding) in the National Theatre of Catalonia (2009), Apocalipsi live (Apocalypse Live) by Raquel Tomàs (2008), and La torna de la Torna (a play about political repression) by Albert Boadella (2005-06). As an actor and recitalist, he has also worked in musicals such as La danserie de l’Arxiduc (The Archduke’s Choreography) and Barcelona alla moda, by the baroque orchestra Vespres d’Arnadí and, moreover, in the recitals Ojos de mil años (Eyes of a Thousand Years), in homage to the poet Miguel Hernández) and Músiques de l’Holocaust/Músicas del Holocausto (Holocaust Music) with the Brossa String Quartet. He is presently working on stagings of La Pasión según San Mateo (St Matthew Passion) by J. S. Bach, with the Vallès Symphony Orchestra, and Realpolitik, with Teatre de l’Enjòlit. After concurrently studying Journalism and Theatre, she began to work as an actress trained by Txiqui Berraondo and Manuel Lillo in Barcelona where she combines studies in theatre and dance. The year 1996, when the General Eléctrica collective first appeared, was a defining point in her career. She was one of the core members of the group with which she worked until it ended eight years later. A multidisciplinary performer and artist, she works with Juan Navarro, Roger Bernat, Rodrigo García and Simona Levi, with whom she is presently involved in a number of projects. Jordi Soler Quintana is a videographer, producer, post-producer, performer and freelance photographer. Since 2011, he has also been a member of the contemporary theatre company Agrupación Señor Serrano (winner in 2015 of the Venice Biennale Silver Lion Award and the Sebastià Guasch FAD Prize for Paratheatrical Arts and which presently has three works touring internationally), working as a performer and audiovisual creator. He was co-founder and, from 2009 to 2013, creative director of the Barcelona post-production studio SOMA, and he has also worked with producers and theatre and dance companies on a range of projects integrating audiovisual elements and motion graphics. These include the Lupercales collective with its “Bella itinerante” project of urban facade lighting interventions on emblematic buildings of the Raval neighbourhood and Ciutat Vella (Old City) in Barcelona. A senior technical adviser working with audiovisual and theatre productions, Marta Felipe Expósito has eighteen years of experience in the audiovisual sector. More recently, she has specialised in 2D animation. Albert Mosoll is an audiovisual and lighting technician who is presently working as a programmer and lighting operator with the Sopa de Cabra group and as resident technician at such festivals as “Temporada Alta”. He has worked with Cascai Teatre for ten years, touring Spain, France and Portugal. He is a lighting, video and web designer and, with a multidisciplinary focus, is engaged in projects with several theatre companies and businesses in the audiovisual sector. He has worked with lighting, video and sound space in the works Incerta Glòria (Uncertain Glory) directed by Àlex Rigola in the National Theatre of Catalonia and Migranland (Migrantland) in the Temporada Alta festival. Minoria Absoluta is an independent producer which is particularly concerned with talent and creativity. Since it was founded it has worked in entertainment for television, fiction and stage productions. Humour and a critical take on current affairs are two of its defining characteristics, which are well represented in TV3 political satire programme Polònia, which celebrates its tenth anniversary in 2016. Among the works it has produced for the stage are La Família Irreal. El Musical, (The UnReal/Royal Family), Magical History Club and Polònia. El Musical (Polònia: The Musical). Everything you see in this work is derived from real material: the “Correos de Blesa” (Blesa Emails)—which after being made known to public opinion through the media, are now available online at the link http://correosdeblesa.com—plus legal information concerning the Bankia case in which we have filed the first lawsuit holding bankers accountable for the economic crisis in Spain, and also press sources. These links provide the background to the case with some of the Blesa Emails and the story of the corporate Black Cards. Information concerning the initiative to file the lawsuit, the people involved, the reasons behind it, the fight against corruption, how it all begins when the Black Card scandal is leaked, the crowdfunding project as an instrument for struggling against abuse of power, the fall of Rodrigo Rato, and “confidential” details of the corporate Black Cards. And more. How the bank Caja Madrid rewards an inert PSOE (Socialist Party) foundation with 3.4 million euros, the forged signatures, the Caja Madrid/Bankia bosses are fans of Bierzo wines, Blesa tries to refute the Fund for Orderly Bank Restructuring report, the looting of the Caja de Madrid Foundation whereby Blesa doles out more than 14 million euros to the political parties PP, PSOE and IU, as well as to the trade union CCOO, Rafael Spottorno (head of the Royal Household and Black Card beneficiary) resigns, and socialist leader Pedro Sánchez conceals the fact that he worked with Blesa. And further details. Felipe González interferes to favour with a public position one of the “Black Card” accused, the president of Caja Madrid is forced to resign, and high-flyer Pablo Abejas tries to dodge incrimination. Etcetera. Minister Luis de Guindos is involved in the Luxembourg tax scandal, notes on the Spanish arms industry, preference shares, Aznar’s intermediary contract in an arms company, the power of the prime minister’s son-in-law, businesswoman Elena Gil uses a Black Card for beauty salons and clothes, Blesa buys a Miami bank for twice its value, Blesa celebrates the “success” of preference shares, the US interferes in the Spanish National High Court, a left-wing politician in Blesa’s clique, accountability in the Lehman case, 4.763 million euros hidden in Caja Madrid transactions, more on the preference shares swindle (“do NOT show clients”), and the airline Iberia in meltdown. Plus more. Many characters have a finger in the Caja Madrid/Bankia pie. Infighting, Black Card benefits for Aznar’s friends, the Caja Madrid commission deems Blesa’s situation to be “legally sound”, charges of corruption, money-laundering, a nice job for Blesa’s daughter, a “gentlemen’s agreement” involving millions, detentions, Rato the accused, illegal appointments, the blame game, irregular bonuses, the Mapfre-Caja Madrid Holding merger, oral proceedings in the National High Court against Blesa and Rato for their use of Black Cards, Francisco Correa pays Aznar’s former secretary €90,000 in black money, and documents accredit PP financing. And other stories. Rato wants his bail reduced by €3,000,000, charges of corruption and money laundering against senior bankers and public figures, Rato in court, Rato tries to avoid paying bail, #15MpaRato wants prison without bail for Rato to prevent his fleeing, Rato accused of five crimes against the Treasury Department, Rato’s Personal Income Tax fraud of €6.4 million, BFA-Bankia, Rato and Rato’s team pay €34 million in bail, and Bankia to return €1,500 million to small shareholders. And further crime and punishment. We will be grateful for any contribution. Your name will appear in the credits at the end of the show. The production Budget is shown here. We will publish our balance sheet at the end of the financial year. Hundreds more people have sponsored this work with amounts of less than €500. Their names will appear in the credits when the work is performed.